The paradigm of public administration in the field of high technologies is formulated and discussed in the article. It is stated that the development in the new Millennium is based on actual challenges, which include the transition to a new technological mode, the trend of globalization of economic systems, the phenomenon of the information economy, geo-economic and geopolitical changes, changes in the structure of the goods and services cost. 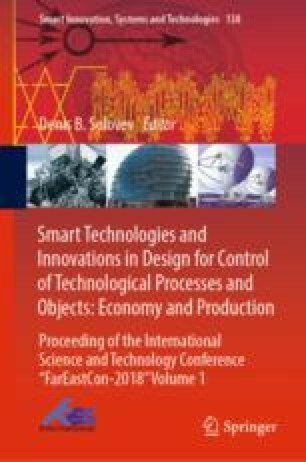 The article presents evolutionary approaches, principles of public administration in the high-tech sector of the Russian economy. There is formed the structure of specific characteristics of innovative processes in the sphere of high technologies where three levels are distinguished: methodological, allowing to determine the vector of research areas, the development of scientific and technological knowledge and the drivers of economic development; theoretical, describing the organizational and economic mechanisms of developing the priority directions of innovative activity; logical, formulating methods of managing high-tech innovative projects implemented by the micro-level entities. The research based on a complex interrelated study of all 3 levels, allows to create a multi-faceted scientific approach to the management of innovation processes in the field of high technologies.